The preliminary plans for the redevelopment of UCSF’s Laurel Heights campus at 3333 California Street have yet to be revealed or submitted to the City for review, but according to a tipster, a new building upon the green space at the intersection of Presidio, Pine and Masonic is included in the early designs. And it’s an addition which a group of neighbors are already organizing to oppose. SKS Partners and Prado Group signed a 99-year ground lease and development agreement for the 10-acre campus last year, an agreement which included a leaseback of the campus to UCSF for up to five years. The development team’s formal application for a consultation with the City to discuss the project, the first official step in the Planning process, was submitted to Planning a few weeks ago. And the draft plans for the site are slated to be presented to the community at large next month. While the site could support up to 745 units of housing, the development team has been exploring the possibility of remodeling a number of the existing campus buildings for office use, as we first reported earlier this year. The office plans, however, could simply be a stopgap measure should approvals for a more extensive redevelopment drag on. If you don’t get your list of complaints (or extortion items) in early, you risk something actually getting built. There’s already been a great deal of local input, emphasizing the value of the green open space in this area. Further, that Masonic/Presidio/Pine intersection is already a busy clusterfrack, so any development will need to be carefully vetted for traffic impacts. I really like the existing buildings, I think they’re great examples of that low-slung mid-century style. I’m not trying to claim they’re “historic” or must be preserved, but I think an adaptive re-use could be a great outcome here. I think the proposed housing in this green area would not need their own garages/driveways. Don’t forget that there is a huge multi level garage below that office building behind the redwoods. I’ve been waiting for the moment when SKS/Prado realizes just how difficult it’s going to be to get any change through neighborhood review. When UCSF moved in it got serious grief for many things, but my favorite was its proposal to use only one loading dock instead of all three on the grounds that it had fewer deliveries than the original tenant. The neighbors insisted that that could not possibly be true and that there would be too many trucks on the street that had the loading dock in use. They lost that one but it was contentious for years. However the neighbors were successful in demanding that UCSF seal all the windows shut because they feared that the office workers assigned to the Laurel Heights site might secretly open wet labs and release toxic fumes. Nice history. When did UCSF move there? Let’s start the tunnel for a subway line down Bush to FiDi and out to Ocean Beach. Opposition? Seriously? The City needs to demand 700+ units of housing on this site. We are in a housing crisis precisely because of this kind of NIMBY B.S. Tell the “neighbors” to take a long walk off a short pier. They want to “preserve” the buildings? They are perfectly welcome to make a purchase offer on the 10 acre campus. 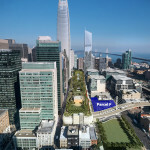 No kidding, just like the ‘NIMBY B.S.’ that squashed that 550-foot residential tower that was intended to rise on Transbay parcel 5 and could have added over 600 units to the city’s overall housing stock, and years before this project is even slated to break ground. ‘s policies for redevelopment of BART property next to BART stations from residential TOD development to commercial office development. Every public agency wants the cash from commercial development and none want to take on their fair share responsibility for housing production – THE single biggest economic challenge facing the Bay Area and coastal California. We do not have a “not enough jobs” problem in this state. We DO have a “not enough housing” problem in this state. Housing is the single biggest portion of the average household budget and the out of control costs due to government imposed housing supply ceilings is a direct tax on the pocketbooks of everyday Californians. You would have the same economic stimulus (and benefit to the general welfare) from reducing the share of gross income that a household spends on housing from say 35% of gross income to 30% of gross income, as you would be reducing the state income tax rate by 5%! Given that the average effective tax rate in California is 6.1%, that’s the same effect as effectively eliminating the state income tax. Go Housing wonk!! there should be a minimum of 1,000 housing units–large site, underground parking garage, central to the city and main public bus lines. 2 and 3-bedroom units w/ 1 parking spot per unit. We aren’t living in the suburbs. 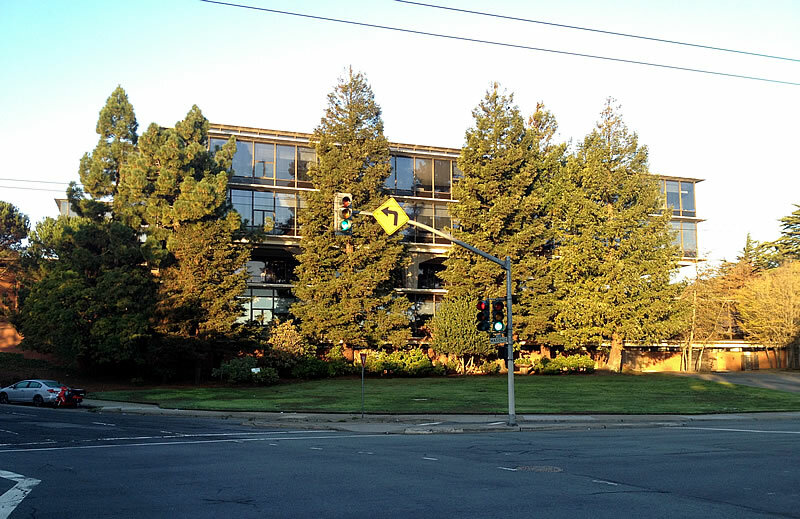 The “green space” at Pine & Presidio is nothing but a piece of freeway-like landscaping that nobody, nobody, uses. A usable urban park along California would be a much better green space. It’s pretty evident from even just the picture above that it’s not “freeway-like landscaping”. But even if it were, OMFG, how useless to have greenery unless it’s being swarmed with people with frisbees / strollers / golf clubs. God forbid that we have greenery for greenery’s sake.